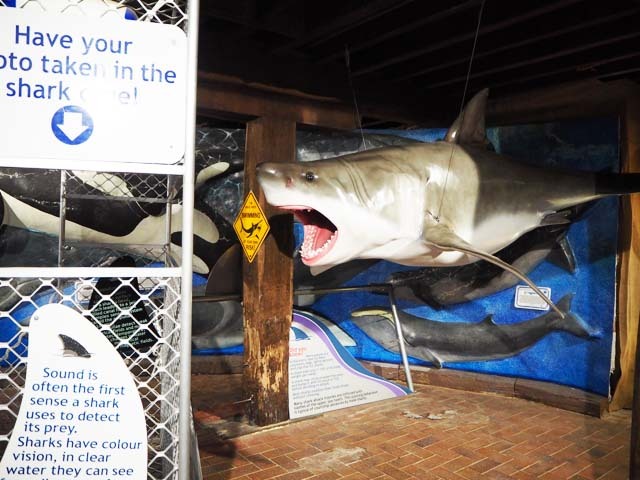 The South Australian Whale Centre in Victor Harbor is a fantastic place to visit with kids with three floors of interesting and interactive displays - we loved it! Upon entry, kids were given a little bucket, spade and dusting brush to take with them for fossil digging on the lower level and couldn't wait to do so however we took the time to look around. We took in the beautiful mural, the sharks teeth and shells on display, the live fish in the little aquarium and other interesting panels showcasing the life of whales in the area along with Southern Right Whale Skull before heading upstairs to checkout the touch tables, microscopes and the live turtle, hermit crabs and yabbies. We then headed downstairs to checkout the whale murals and marine history, the Sea Shepherd Steve Irwin MV Exhibit where the kids had a play and then headed to the Kids Zone where they dug for some whale fossils and shells and crawled through the belly of a giant squid, played with toys and puzzles. There was also a 3D Theatre for a fisheye experience and a shark cage where you can stare and have your pic taken with a Great White Shark. We loved our visit at the South Australian Whale Centre so if you are visiting Adelaide and the Fleurieu Peninsula, take a trip to Victor Harbor. There's also the famous Cockle Train departing Victor Harbor regularly as well as Granite Island and the Victor Harbor Horse Drawn Carriage and great fish & chips and nearby Urimbirra Wildlife Park which we visited and will publish a review of soon. The South Australian Whale Centre is located at 2 Railway Terrace in Victor Harbor. The centre is open every day except Christmas Day from 10:30 am to 5 pm. Admission is $9 per adult, $6.50 per concession, $4.50 for children, Free for kids under 4 and $24 for a family. Park your pram near reception and walk up and down the different levels. I cannot recall lifts onsite. There are toilets inside the centre including a change table in the ladies toilets. 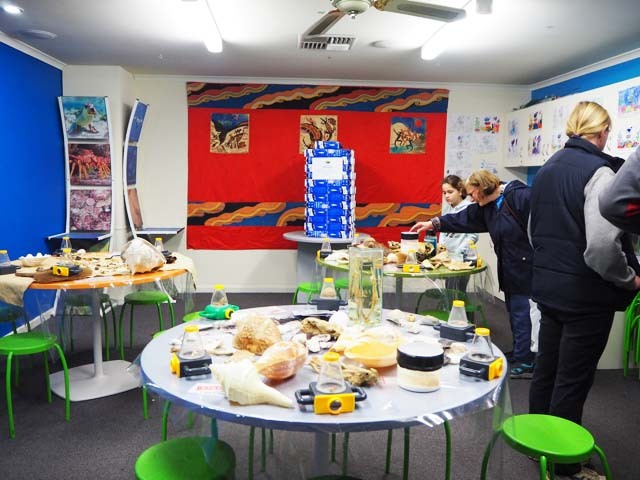 Busy City Kids were invited to the South Australian Whale Centre in Victor Harbor for the purposes of a review. All opinions & feedback are genuine & truthful. Travel, food and fee paying activities were self funded. For more information on the South Australian Whale Centre, head to their website.